Our two main panelists are Jared the Greek and Eri Kagami. You can read more information about Jared the Greek and Eri Kagami here. For programming that is more gaming oriented, those panels involve Stan and / or Deb. We are based in the Los Angeles area within driving distance to the Greater Los Angeles Area and Greater Orange County Area. Parking and mileage can be negotiated. While it is standard for registration fees to be waived, we will not accept registration prorated for the following year as a complimentary badge. If you would like to fly us in for a convention, we would appreciate having a stipend to cover the cost of a roundtrip flight. We typically fly Southwest and JetBlue domestically. We would also appreciate pick up from the airport to the event or a stipend to cover a rideshare. The cost of hotel room during the duration of the event would also be very much appreciated in an offer. 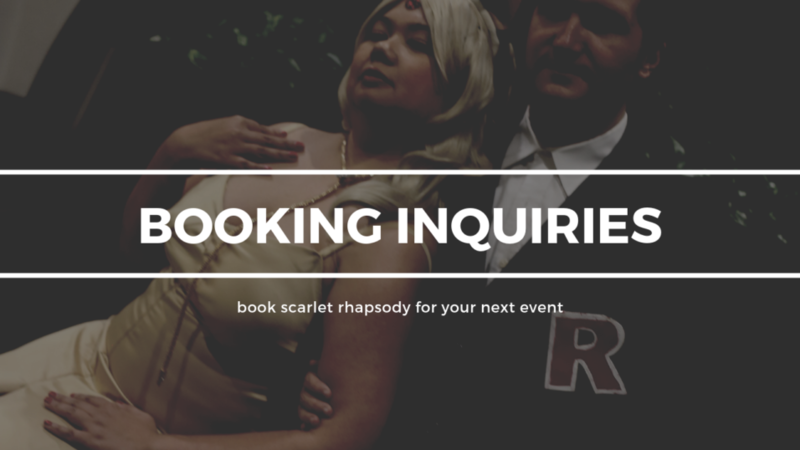 If you would like to inquire further about booking, please contact us at scarlet.rhapsody@ymail.com. We answer emails frequently. Thank you for your interest. We would love to work with your event!